Over the September 25th -27th weekend, Longy will kick off its yearlong 100-event centennial celebration with “SeptemberFest: Honoring the Past, Illuminating the Future”. It takes place at Pickman Hall, with “1915: Paris & Boston”, an evening harking back to 1915 and moonily featuring Fauré’s La lune blanche luit dans les bois and Clair de lune op. 46 no. 2; Debussy’s Beau soir; and Saint-Saëns’s Le lever de la lune. Details of the SeptemberFest offerings, including names of the faculty and student performers, are here. All concerts are free, but tickets are recommended. 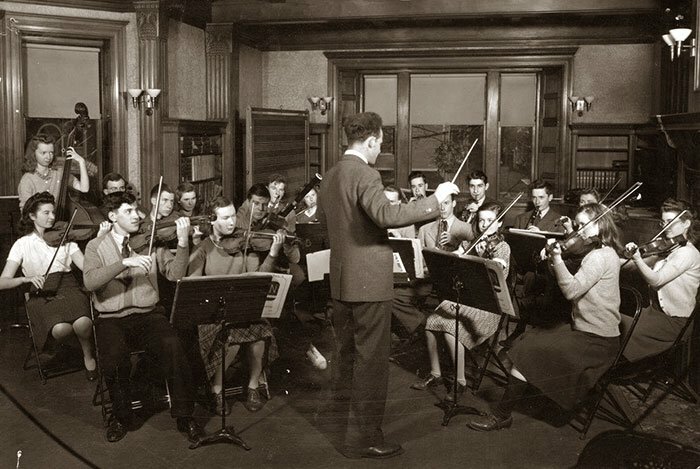 French oboist Georges Longy, young virtuoso and Paris Conservatory graduate, had been principal chair at the BSO for 15 years (half his stint there) when he founded the Longy School, in the fall of 1915, bringing his “new, holistic model for comprehensive training in musicianship and performance to Boston, modeled after the French conservatoire.” Famous NYTimes critic Olin Downes wrote that “Longy probably influenced the musical life of Boston more than any other one man”. 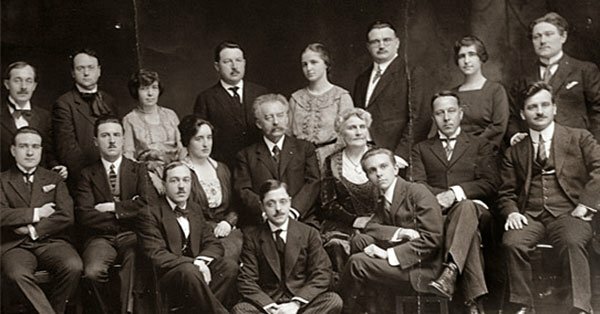 [Others might point to Lowell Mason, John Sullivan Dwight or H.L.Higginson] A century later, the Longy School of Music of Bard College respects its eponym’s principle of “providing a rigorous, versatile music education that meets the needs of all students in a personal and practical way”. Longy President Karen Zorn spoke with BMInt recently. We discussed SeptemberFest, whether the founder’s méthode has really survived unchanged over 100 years, and other matters. FLE: You’re celebrating your founding year, a year during which horrible things were happening in Europe, yet the items on the SeptemberFest program are more pleasant drawing room miniatures, rather than angst-inducers. Did anyone think about what was happening in Europe during 1915 or just what was happening in Boston? KZ: Well, we were thinking especially about Paris, because that’s where Georges Longy came from; we are the only Paris-based-founded conservatory in America. We’re it. All the others were basically German-based at their founding. So we’re playing on that. So it’s really about the French accent at Longy. 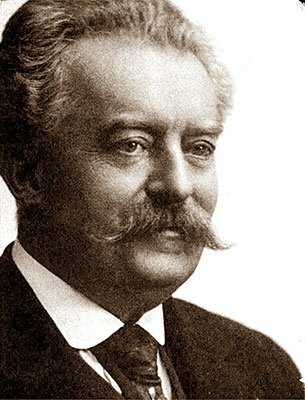 One hundred years ago Longy had some locally famous composers like Loeffler, Foote, Beach, and to a lesser extent Longy himself. If you were going to create a program today to celebrate Longy at 200, what Longy composing talent from your era would make the cut? I think all of our composition faculty have interesting and successful careers—they each have a unique voice while they each prioritize teaching in their lives. Time will tell which one of us is remembered in a century. We’re all in the midst of it and it’s too early to say. I don’t think anyone here is motivated by making a cut in 100 years. Will you yourself be performing, as speaker or pianist or other sort of entertainer during the celebratory year? I didn’t see you down for the SeptemberFest. I’m playing with the idea; we’re doing a salon evening at the Regattabar and I may do something there. Well, it’s really the same principle, which is to say that it’s really not the same. I think of Georges Longy as a pioneering guy. He came to town and didn’t see what he thought were serious musicians involved in musicianship training. That was his issue, not with the performance training at the conservatories, but the training in theory and ear training. Being able to actually just hear music and understand. Solfège, absolutely. All of that. But he was also a very practical guy too, because he was a practicing musician, right? He was a performer. So he wasn’t a person who thought you just needed to be steeped in serious musicianship, you also had to be able to play and have practical experience. What I would say is that we still have the same incredibly rigorous theory program and solfège sight-singing program. We believe that if you’re going to be successful as a musician, you’re much more likely to be successful if you really can hear and understand what is going on in music—not just deliver a compelling performance. That is important too, but we really think you need that deep musicianship underneath it. From the practical point of view as well, that’s where you would see things that you wouldn’t have seen 100 years ago. The course that we require of all students, where they have to learn how to engage an audience…. That’s one of the differences or similarities? That’s one of the differences, yes. So all of the students have to learn how to engage any kind of audience, and we do it through a course. Every student does a rotation in the El Sistema, side by side, from the orchestra. We think El Sistema is one of the music education paths that are really working and have a place. And so all the students in the orchestra do a rotation to learn El Sistema from the inside out. We think that’s practical and important, also aspirational, and we have a new course this year, we’re calling it the portfolio project, which has to do with what other places would do where they have a career services office. We don’t. I don’t happen to believe in them. They only are as good as the person who sits behind the desk, and even that person isn’t going to have all the great ideas for every student who needs them. So what we did instead was, we said, Okay, what is a Longy student going to need for collateral to be considered a professional musician the day after they graduate? And let’s put all of that together with them while they’re a student. So the day they graduate, a Longy student has a website, the website is filled with an artist statement, multiple résumés depending on whether they teach, whether they perform, whether they start things. They’ll have audio and video of work that represents them as an artist. But they don’t do that on their own. They do it in groups with a lot of mentoring from faculty who think about these things. We start them out by making them write an artist statement, asking who are you as an artist and what impact do you want to have on the world. And then, before they graduate, they have to review that artist statement to see if it still holds true or have they evolved. And part of what we want them to realize is that you’re always evolving. Who you are today, and then in 10 years, parts may remain and parts may be left behind. I want them to understand as they enter the world as a professional musician that what they thought they were good at and what they are actually good at may be the same and may be different. The real world has an impact on you. So they go through that whole experience while they’re at Longy and leave with the collateral they actually need to be in the world. So that’s not something Georges Longy thought about. He probably thought about it in principle, and the way the principle realizes practically would’ve looked totally different in 1915 than today. In terms of the “who are we”, how would you say that’s changed collectively since Longy’s time? What’s changed, I think, is for the school to realize that it’s not enough to be the smallest conservatory in Boston. Actually, small matters, because it’s a very personal education here; we know all the students and they know us. You can’t get lost at Longy. But we had to say, well, why should Longy continue to exist in this day and age? And that’s where the total change in mission that took place in 2006 has, I think, completely changed the school. This idea of framing what it means to be a musician and an artist in a different way, you know, how can you have a meaningful life in music and what are the variety of paths you can take to get there? So you have more full time students now than 100 years ago? Yes, many more. We have more full time students today than we had five years ago. Right, so that wasn’t part of Longy’s mission 100 years ago, or even 10 years ago, to have mostly a small group of full time students? As I gather a lot of it was individual lessons to people who would just come in for that, and that gradually ended, or suddenly, or both. Well, it shifted. It shifted back and forth from being a conservatory in the European definition, where you were getting a serious and thorough curriculum, not just private lessons. It shifted between that and then back to the sort of what looked a little more like a preparatory program, you know, mostly lessons with some classes and ensembles to support it. And then, you know, it came full circle back to being a fulltime conservatory. Almost all of our students are full time. So that’s quite different. One clarifying question on the mission. I’m confused about El Sistema. At one point Longy was interested in mainly teaching and developing El Sistema teachers. And now you seem to be working on getting all of your undergraduates involved in participating in the El Sistema program itself. And El Sistema seems to be a mantle that various Boston institutions claim, so it’s very confusing to me. Well, first of all, El Sistema is a big idea, so it takes more than one institution to help it move forward. That was the realization I had to have. NEC was the sort of first local higher-ed institution that took a serious look at it and brought it in as a program and I though, oh, okay, that’s how NEC does it; we have to do something different. And then it hit me that there are 600,000 kids playing in orchestras in Venezuela and it takes more than one institution to try to make something like that happen in the United States. So I can see how it could be confusing, but you have to think of it in terms of … success would be every American orchestra has an El Sistema youth orchestra in the United States. At one point you were concentrating and developing El Sistema teachers, but now you seem to be doing that in California as well as getting your undergraduates here involved in the actual playing. Well, it’s more the graduate students who are focused here on El Sistema, but the undergraduates are also involved. But they are teaching, they’re mentoring. Because they’re side by side with kids from the El Sistema sites from around Boston. So our role locally with El Sistema, we looked at it strategically and said, okay, there are all these community sites that are running El Sistema programs in a variety of communities across the Boston area. We don’t need to do that, we don’t want to compete with that, we should do something different. What can a conservatory actually contribute to a community of El Sistema kids? And that’s when we came up with the side by side. The idea was we turn to all of the sites and say, You decide, but send us some kids and we’re going to form a citywide orchestra that is El Sistema-based. What’s different here is that it had to connect to our conservatory. That’s our core endeavor, it is training conservatory students. So everything we do needs to connect to them. What’s in it for them is that they sit side by side with these kids and over the course of a year, the Longy students see El Sistema from the inside out. It’s all about them gaining an understanding for how El Sistema works and their role is as mentors, mentoring the kids. The way that El Sistema works is if you walk into a room, it may look like there’s one teacher and a bunch of students, but the reality is there are a bunch of teachers. This does sound somewhat different. Well, what we’re doing is not a degree in El Sistema. What we do in California is actually a degree in teaching. This Side by Side thing is the more local product. It’s our local project. Because here’s what happened. Some of the students here in Boston said, We’re doing all this stuff in California, why aren’t we doing something here? And I thought they were right, I thought it was a good question. Longy’s ticket link is here.